What is the cutest animal in the world? 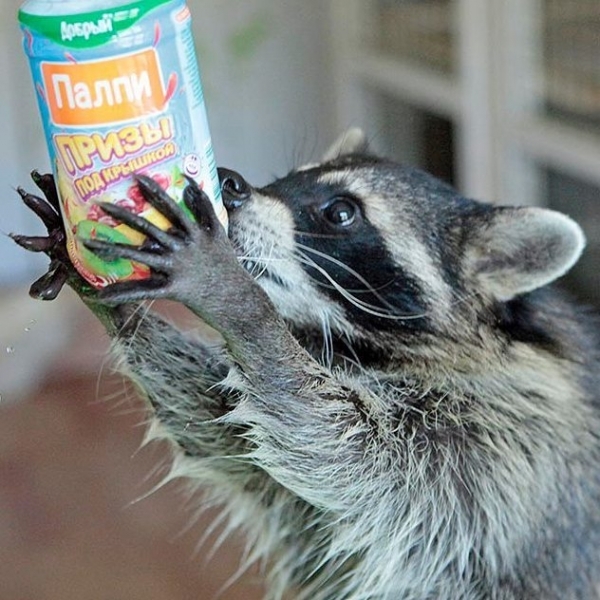 One might vote for a cat, another will raise a hand for a little puppy, but Elena from Moscow was always fond of raccoons. When she was just a kid, she often observed them playing in the zoo for hours. Time was passing, and little Elena became a zoopsychologist. 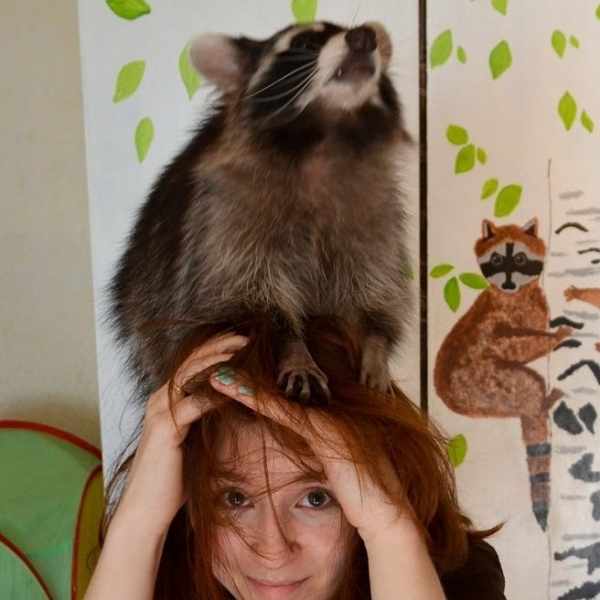 So, 5 years ago, she turned her cottage house outside Moscow into a so-called raccoon museum. She placed all her raccoon memorabilia there and invited four sporty raccoons to live with her. 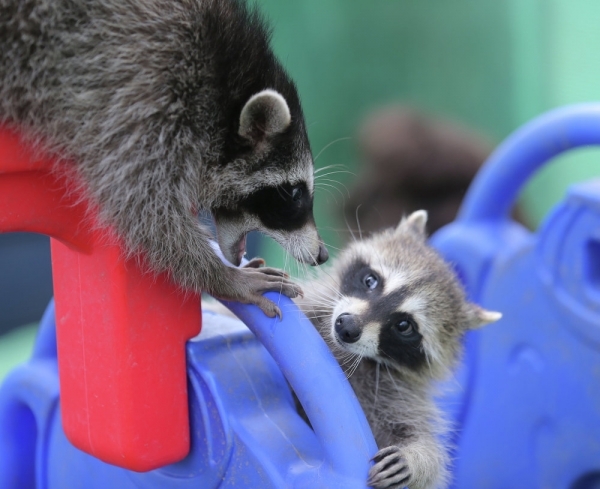 They called the place “The Racoon House”. 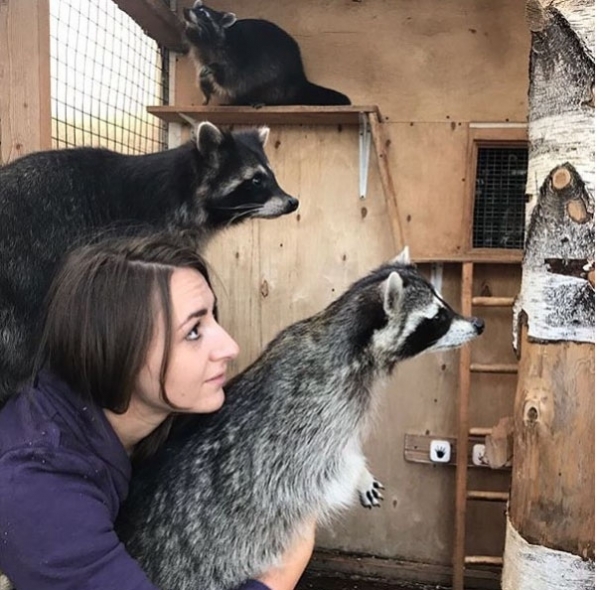 Now "The Raccoon House", located in Khotkovo nearby Moscow, is both a nursery for raccoons and a petting zoo, where visitors are allowed to feed the animals, pet and play with them. Additionally, it serves as a museum of raccoons, where a guest may learn various interesting facts about these smart creatures. Once the guests have scheduled the visit to this little private place and paid the entrance fee, they are asked to learn certain rules. First of all, any harm to the animals is prohibited. All kinds of loud sounds that might scare the raccoons are banned, too. Also, the raccoons dislike the smell of alcohol, therefore if you are planning to see them, you must be completely sober. Do you know a funny trick how to make a raccoon stay in your arms? The only way is to give the pet some massage. Only then the raccoon has the reason to be held. And these fluffy animals adore massages! The visitors are not allowed to bring any food for raccoons to the House. However, the striped animals have a big choice of food served for them: two sorts of raisins, two sorts of bananas, grapes and special pet foods. 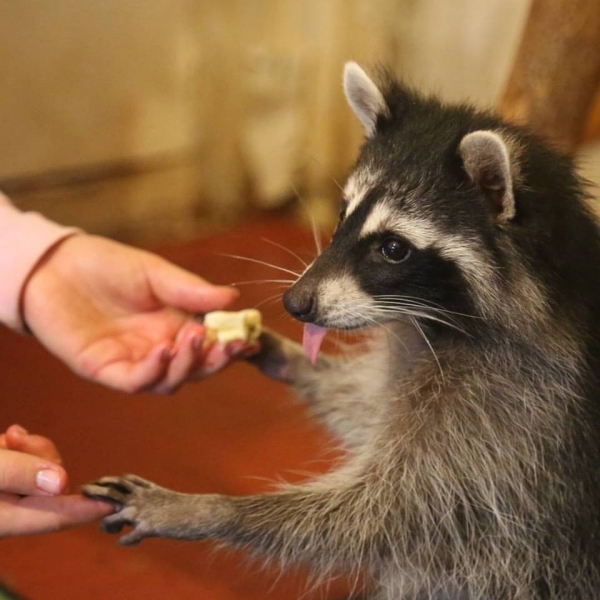 Sometimes, raccoons are very picky on food. But try it, maybe they will eat their grapes better from your hands!